Blurs of bright yellow have been seen darting and dipping about my backyard lately. 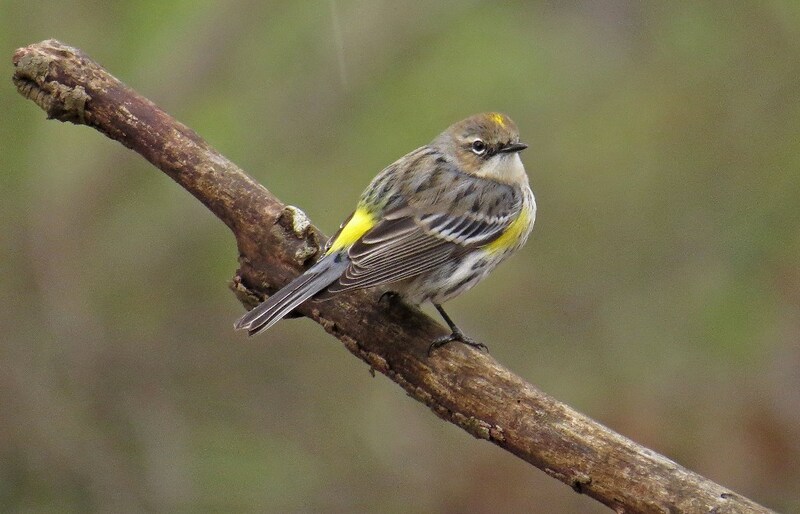 The Yellow-rumped Warblers that have been sitting side by side so peacefully at the feeders these past several weeks are now engaged in some serious aerial attacks! I guess the time has come to stake their territories and claim their mates. This fellow in the photos above was perched on a limb in the center of the yard, proudly poofing out all of his sunny spots. I’m not sure if he was trash talking a rival or attempting to entice a female; either way, I found myself rooting for him! 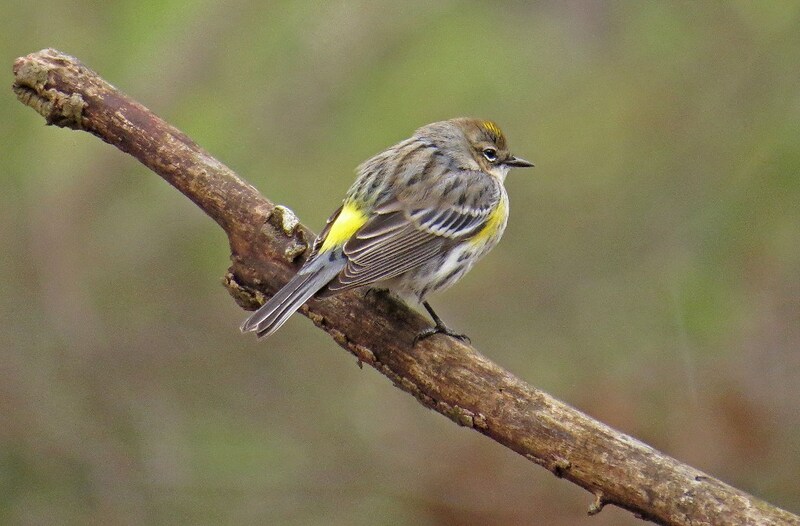 This entry was posted in Backyard Birds and tagged beauty, bird photography, mating season, nature, photography, warbler, writing, yellow-rumped warbler. Bookmark the permalink. I’d root for him too; he’s a spunky chap! Once again you have taken some great pics. Thank you. I love these little guys! I do indeed call them that…but it’s a pretty common nickname; not one I can claim I cleverly made up. Unless of course you never heard it before; then I am taking full credit! Can’t wait to see them. 🙂 And have a great vacation!